Ch. Gentry's Caprice CD. WD. Ch. Hillcrest Firewind Woodsman CD. Ch. Hillcrest Namtn Ko Cr Colours UD. TDX. AX. AXJ. MH. RA. CCh. Tessera's Fun and Fancy Free C. CDX. AGN. SHDCH. 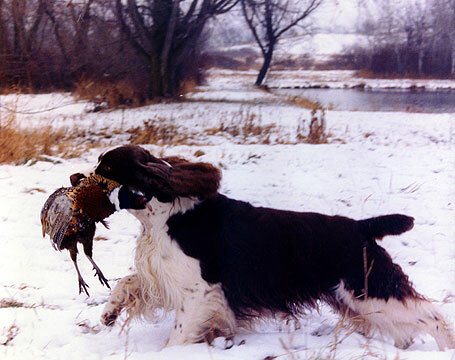 Copyright � 2004-2008 Lynn, Anne & Barb Dorsay, Bondir English Springer Spaniels.